Both centres offer an extensive delivery service throughout North Yorkshire and North Humberside. A charge is made for delivery, please telephone or email for more details. 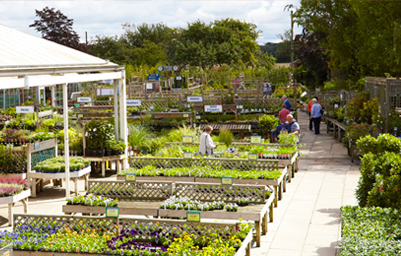 All of our hardy plants are of high quality and will grow if looked after correctly. We will replace any hardy nursery stock that fails, providing that the plant is returned to us within 12 months of purchase along with its label and a receipt. Please contact us if you require more details. Coach parties are welcome, but prior notification is preferred. To make enquiries or to let us know that you wish to visit us, please contact us. Please note, however we are unable to reserve tables within our coffee shops. If you like shopping with us then why not apply for one of our loyalty cards? 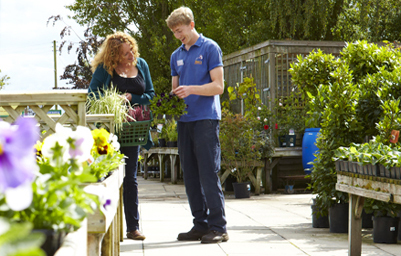 The scheme is free to join and whenever you shop at either of our York or Scarborough Garden Centres (and also our York Coffee Shop) you can collect points, which you can then spend to purchase almost anything from us. Also if you give us permission to email you, we will send you a monthly newsletter and exclusive offers! We also offer a separate loyalty card for our Scarborough Coffee Shop. For each hot or cold drink purchased, you collect one stamp on your Scarborough Coffee Shop loyalty card. Once you have collected 10 stamps on your loyalty card your 11th drink is absolutely free! Dean’s want to encourage Yorkshire’s next generation of gardeners and we think our centres are a great place to bring the family and inspire budding youngsters. 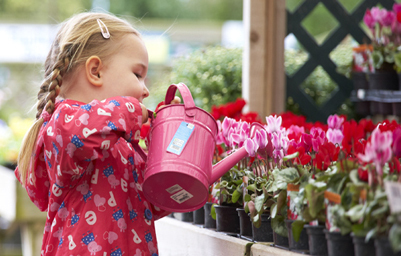 We’ve always supported local schools in developing their gardens and welcome school visits to the Garden Centre. Did you know we already offer schools a 10% discount on the majority of items we sell providing all invoices are paid within 30 days. Also if you are building a new school garden or working on a particular gardening project, we may also be able to offer a contribution towards this. If you would like to organise a visit we have staff who are happy to show groups around. We can also incorporate a particular topic in the tour if asked for in advance. Both centres offer disabled parking, courtesy wheelchairs for use whilst in the garden centre, disabled toilets, and easy access to all areas of both centres as everything is on one level. Our policy is that no dogs are allowed in the Garden Centre, except assistance dogs.